It’s almost the middle of October and we were still experiencing really mild to warm weather. Today the air has started to turn chilly at last. 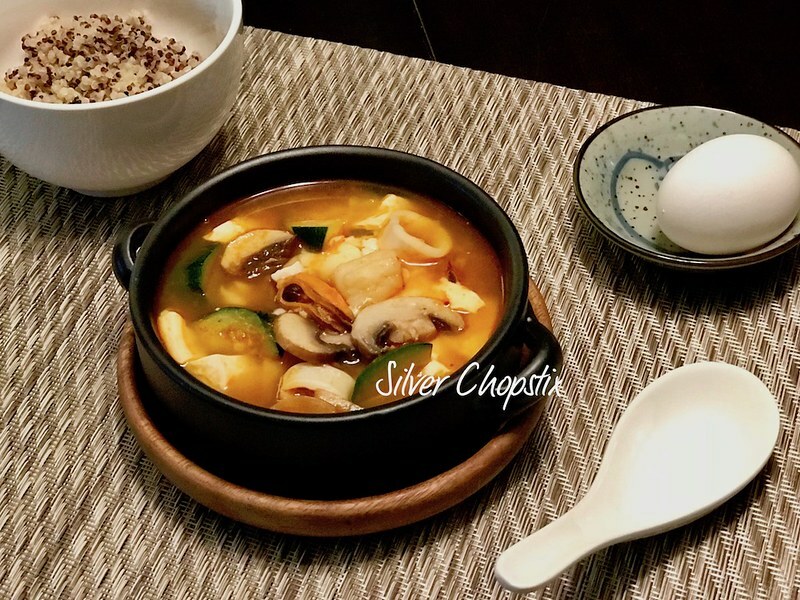 It seemed to be the perfect time to serve up some soup, so I decided to make spicy tofu soup for dinner. My family get this everytime we go to Tofu House restaurant in Edison. 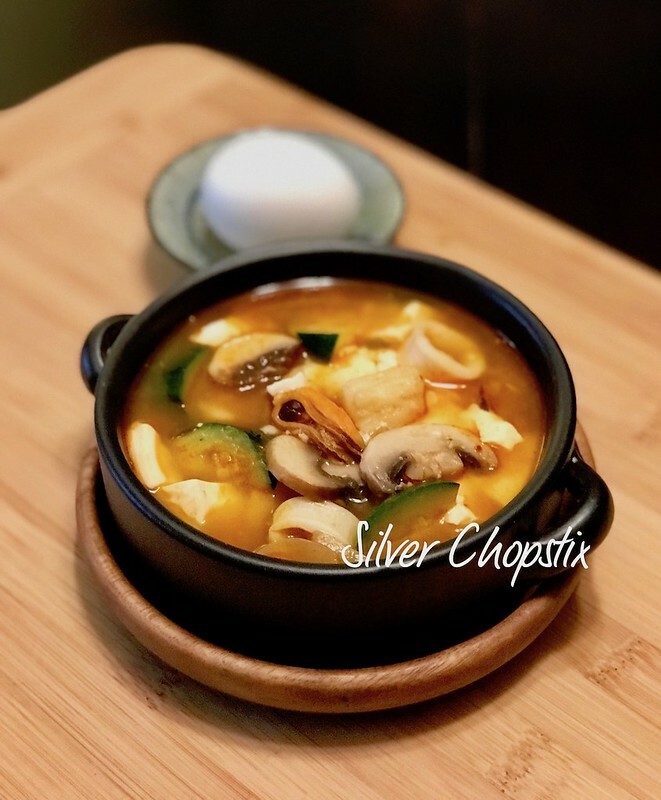 This is not difficult at all to prepare since you can buy a soup starter kit to make this. This is my own take on this dish and not in anyway saying it’s the authentic way to do it. 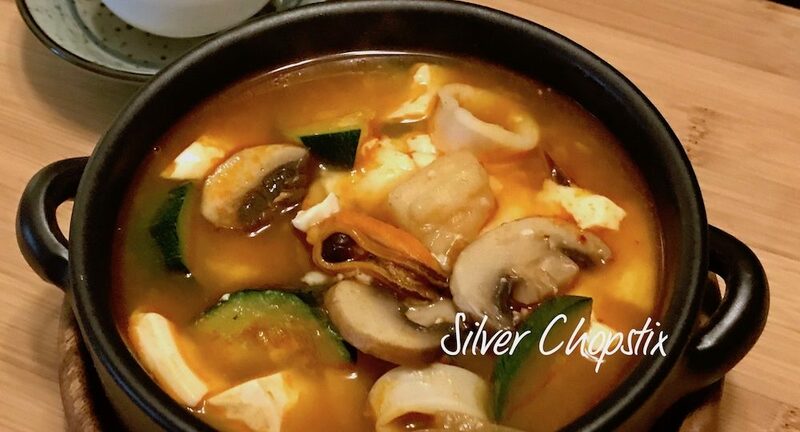 Korean tofu soup is usually cooked and served in an earthenware pot called Ttukbaegi. I didn’t have one so I just used a stainless steel pot to make this recipe. First, place 4-5 cups water in a pot and let this come to a boil. Then I added 2 tbsp. dried anchovies in a tea bag and I let this simmer for a few minutes. 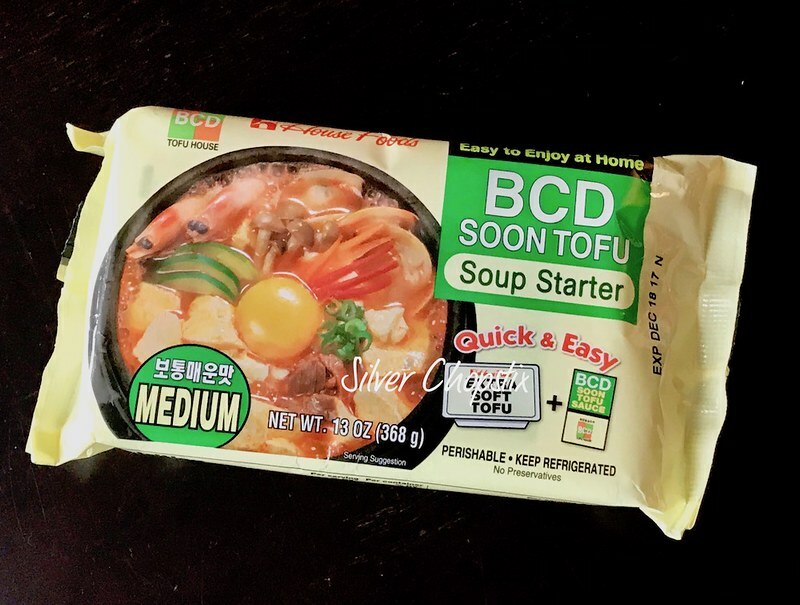 This is entirely optional since we are already making the soup from a starter kit, I just want the added flavor. While your broth is boiling, get another pot and saute half an onion in a little oil until soft and transluscent. Then add about a cup of seafood medley, 1 tsp. of gochujang (red pepper paste) and 1 tsp. of sesame oil. Mix and let this cook until just combined. 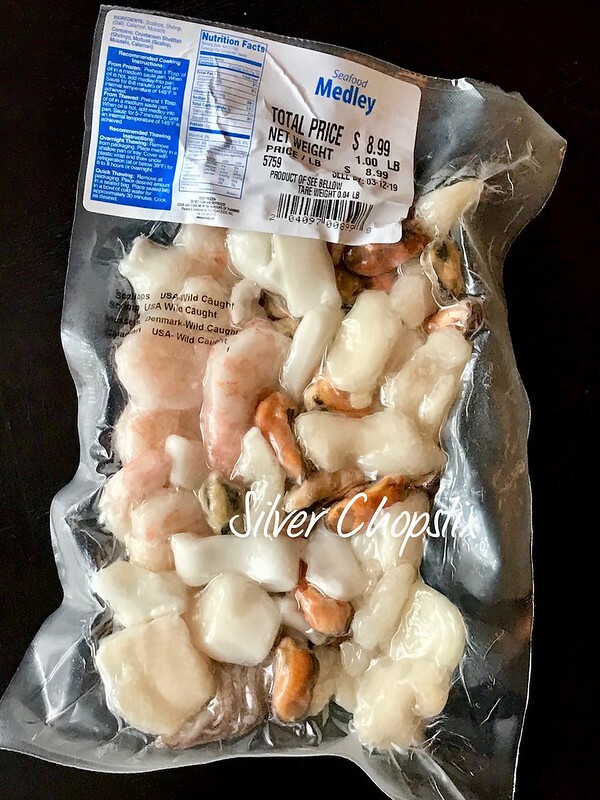 Fish out your dried anchovy packet and add the seafood medley mix to the broth and the seasoning packet from the kit. Let this come to a boil again then add your vegetables. 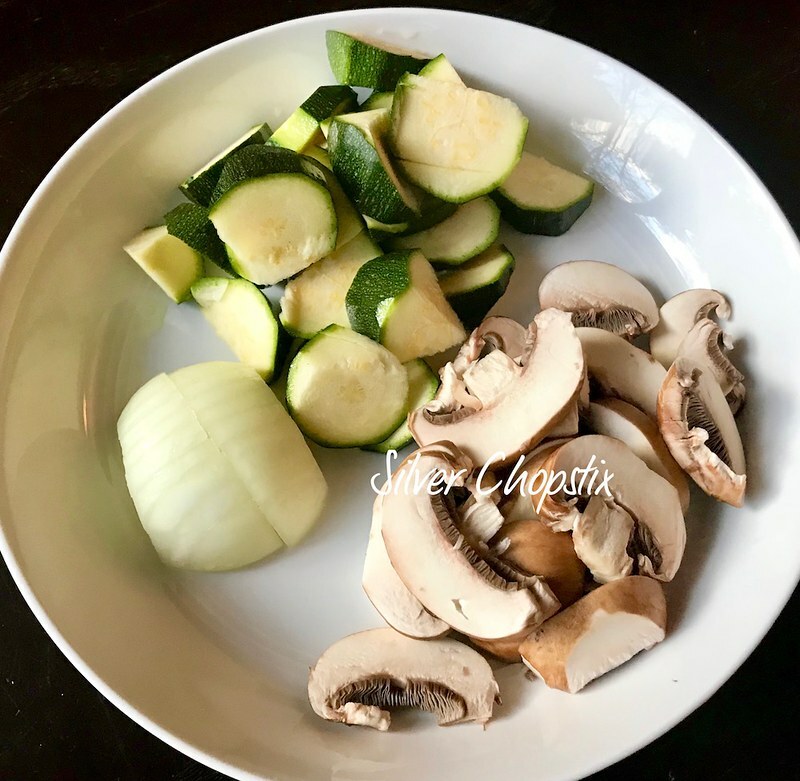 I chose to add 1 small zucchini chopped and a couple of sliced baby portabella mushrooms. Cook until vegetables and seafood are done. This will only take a couple of minutes. Then add your tofu by spooning it in big chunks. Continue cooking until tofu is heated through.